With fern-like foliage and curving stems of heart-shaped flowers, bleeding heart is a favorite in perennial gardens. The old-fashioned variety blooms in the summer, while the fringed-leaf bleeding heart blooms from summer to frost. Part of caring for a bleeding heart is preparing the plant for cold weather. Deadhead, or remove, the flower stems of the bleeding heart after the blossoms fade. Cut the stems all the way to the ground. Water the plants regularly even after the blooming season. The soil needs to be moist, but not soggy, especially during dry periods in the spring or summer. Remove the foliage when it yellows and dies. The National Gardening Association recommends gardeners to cut stems back to an inch or two above soil line after the first killing frost. 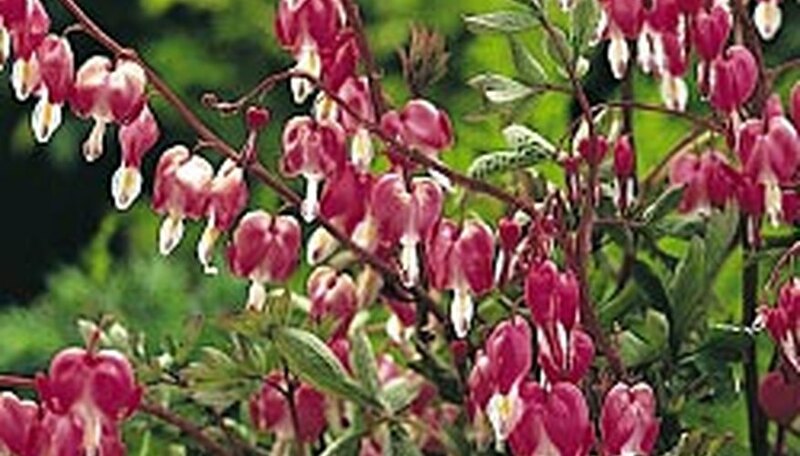 Cover the stems and area around the bleeding heart with decaying leaves or mulch for the winter.